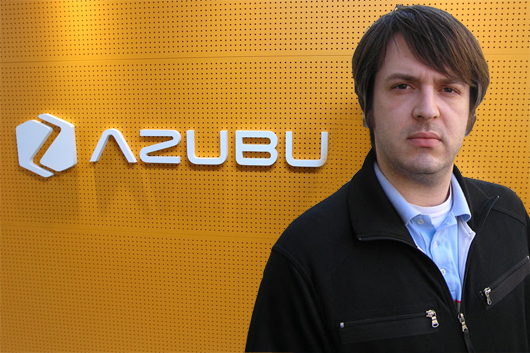 David Campbell, devoted Azubu employee, was seen yesterday gathering his friends and family "just to let them know that Azubu is definitely not a scam". The company, which first began sponsorship of esports leagues and players last year, is "totally real," he assured. The meeting included citing their two business forays with a social media network and streaming platform, which are "absolutely actual things." When his mother inquired about his duties and responsibilities on a day to day basis, David said his time is largely increasing company synergy, building the brand organically, and managing client relationships. "I'm really busy," he added, "ensuring we are able to grow at this crucial time in our operations." The assembly concluded with a promise of refreshments, to be revealed at a later date. Following confusion in MLG match times this week, the CEO was reported walking through a luminous ball of pulsating energy with a bionic being discussing taking care of business. Sundance expressed to the media that he is from a time where he "gets it" and that steps need to be taken to prevent 'The Great Reckoning'. When approached for comment the cyborg declined, saying only that next time he will be available. The post-game autopsy revealed Bly's heart failed on day five of the marathon game, though HasuObs continued play for four more days until ESL was notified of Bly's passing. 'I thought I just needed a little more time to complete my composition, I'm sorry to hear of my opponent's passing," HasuObs told reporters in a press conference following the match. Thorzain commented, "I think Hasuobs attacked a little too early and should have built on top of his lead." Moon wrongly implicated in complex ploy. Following seasons of HOT6 GSL and Mango Six GSL, today GomTV announced they would be partnering with Six Flags for their next event. Representatives of the national amusement chain told fans to look forward to new booth technology allowing competitors to produce and control troops while enjoying stomach-wrenching undulations of the tilt-a-whirl and flagship 'Mega Wedgie' attractions. Too good. I lost it there. Haha, funny stuff, good job. Like a StarCraft Onion or something. "At a Glance" definitely the best section. 5/5 i lost it at Six Flags GSL. brilliant. Wax is on top of it. Good to know. Stealing ideas since 2002.
everyone hating on azubu, when there are so many more bad businesses in esports that we know so much about to hate on.